Stock photo of the front side of the Fairmont Chateau Laurier Hotel in Ottawa, Ontario. Fairmont Chateau Laurier Hotel, city of Ottawa, Ontario, Canada. 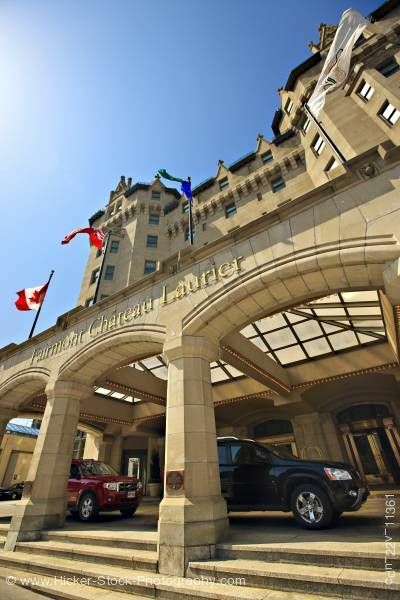 This picture shows the front facade with large arches of the Fairmont Chateau Laurier Hotel on a beautiful sunny blue sky.